The Libraries, Archives, Museums, and Digital Humanities in Popular Culture area solicits proposals from librarians, archivists, curators, graduate students, faculty, collectors, writers, independent scholars, and other aficionados (yes! including people who use libraries, archives, and museums!) of popular culture and cultural heritage settings of all types. We also encourage proposals for slide shows, video presentations, panels, and roundtables organized around common themes. o Digital humanities and other digital/data-based projects on popular culture, the Southwest, and other relevant subjects, both those based in cultural heritage institutions and those in academia or other organizations. If you have any questions about the LAMS & DIGITAL HUMANITIES area, please contact its Area Chair, Dr. Suzanne Stauffer stauffer@lsu.edu. We are delighted to invite proposals for Digitorium 2018, a large-scale, international Digital Humanities conference to be held for the fourth time at The University of Alabama, October 4 – 6, 2018. We seek proposals on Digital Humanities work from researchers, practitioners, and graduate students which showcase innovative ways in which digital methods have brought scholarship and scholarly communities to life, whether locally or globally. We especially welcome proposals which discuss the use of digital methods and their novel results for research, pedagogy, and public scholarship. The conference will host research presentations, roundtables, and workshops throughout the event for participants to gain new digital skills, and to share their expertise in using particular tools. The workshops allow participants to see the scholarly results of using a given digital tool (e.g., OpenRefine, oXygen, Story Maps, QGIS, Paper Machines, Visual Eyes, etc. ), and then to learn how to use it themselves. For these sessions, we invite proposals from scholars interested in giving an initial 10-20 minute paper about their research project followed by leading a 30-40 minute hands-on workshop in which they will teach other participants how to use one of the digital tools deployed for the research presentation. Deadline for submitting abstracts is July 27, 2018. Digital Methods: presentations on exciting new applications of digital methods, whether to bring an under-served subject to public attention, or to break new ground in established fields. Digital Pedagogy and Public Scholarship: presentations on the use of digital methods in innovative teaching approaches, and for public outreach by universities, libraries, museums, and other institutions who are engaging communities via digital scholarship. Workshops: a 10-20 minute paper followed by leading a hands-on workshop using the tool employed for your research (see above for details). Bring your digital exhibit to the conference and present it as you would a poster. Workshops to share techniques which you have found useful. 20-30 minute workshop-style presentations walking your audience through a digital method which you have used for specific scholarly outcomes. Panels of three or four 20-minute papers or two experiential presentations. Panels comprised of a whole project team. All proposals should be made via the Submissions page on the conference website. For more information about the conference, including our plenary speakers, the venue, and the departments generously offering their support for this event, please explore our website. If you have any questions please feel free to contact Thomas C. Wilson, Associate Dean for Research & Technology at tcwilson@ua.edu. Digitorium is made possible by the generous support of the University Libraries at The University of Alabama. patrons, metadata implications for, etc. The ACRL/CLS CLIPP (College Library Information on Policy and Practice) Committee invites you to submit a preliminary proposal for its CLIPP publication series. We welcome proposals on any topic that is relevant for small and mid-sized academic libraries. The CLIPP series allows library staff to share information on practices and procedures they have implemented to address common issues or concerns. Each CLIPP follows a set structure of three parts (literature review, survey results, and sample documents), and should both describe library best practices and provide useful, specific examples that libraries can refer to when developing similar policies and procedures of their own. Authors of a CLIPP publication are aided throughout by the CLIPP Committee and an assigned editor. CLIPP authors receive 10% of the royalties on the net revenues from their publication. For your reference, please find author instructions and more information about the CLIPP program at http://bit.ly/2bjTTDP. CLIPP proposals are accepted throughout the year. The next Preliminary Proposal Deadline is December 15, 2017. The CLIPP Committee will send out notifications regarding this round of submissions by January 17, 2018. Submit your proposal at digital.sandiego.edu/symposium (Click on “Submit Proposal” on the left sidebar.) All submissions will be evaluated based on the relevance of the topic and potential to advance thinking about digital initiatives, institutional repositories, and scholarly communication. Acceptance is competitive. Registration fees will be waived for accepted presenters. The Journal of Archival Organization is an international, peer-reviewed journal encompassing all aspects of the arrangement, description, and provision of access to all forms of archival materials. JAO addresses a broad range of issues of interest to the profession including archival management and staffing, archival technologies, the arrangement and description of records collection, collection growth and access, diversity and gender, grant-funding, and institutional support. Articles addressing academic, public and special/corporate libraries, museums and governmental agencies are all welcome. The separate abstract page should be single-spaced to include a 100-word abstract, list of keywords for indexing purposes, and author(s) footnote (name, title, affiliation, address, and email address), with identification of the corresponding author. References, citations, and general style of manuscripts should be prepared in accordance with the APA Publication Manual, 6th ed. Cite in the text by author and date (Smith, 1983) and include an alphabetical list of references at the end of the article. Vera Gubnitskaia, co-editor. Reference Librarian, Valencia College, Winter Park, Florida; co-editor, Library Outreach to Writers and Poets (forthcoming, McFarland). One or two chapters sought from U.S. practicing academic, public, school, special librarians, LIS faculty, sharing practical know-how about what works for patrons with genealogy: proven, creative, case studies, how-to chapters based on experience to help colleagues with acquisitions, storage, digitization, innovative workshops, community outreach, grants, user instruction, latest resources. One, two, or three authors per chapter; each chapter by the same author(s). Compensation: one complimentary copy per 3,000-4,000 word chapter accepted no matter how many co-authors or if one or two chapters: author discount on more. Friday, May 12 @University of Vermont Conference Center, Burlington, VT. It is an era of reinvention for college and research libraries. Whether we work in cataloging and metadata, scholarly communication, archives, public services, instruction, or another area of librarianship, we have all heard a rhetoric of crisis, transformation, and rapid change applied to our work. The challenges we face have provided an opportunity to refocus on the foundations of our profession: our purpose and our areas of expertise. In reflecting on and redefining our work and ourselves, we are reframing librarianship for the 21st Century. This exciting topic will be kicked off by keynote Suzanne Wones, Director of Library Digital Strategies and Innovations at Harvard Library. In this era of reinvention, how are we reframing ourselves, the work that we do, and our libraries? How are we communicating around this shift within our institutions and beyond? 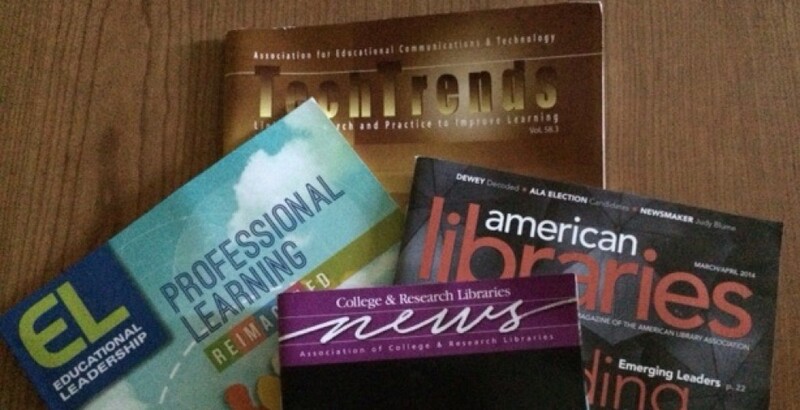 LIS education: Are we graduating technologically- and information-literate librarians? Staff, faculty, administrators, and students in all areas of librarianship are encouraged to submit proposals. The deadline for proposal submission is midnight on Dec 2, 2016. Thinking about attending the ALA Annual Conference, June 22-27 2017 in Chicago? Have you worked on any projects or activities involving film or video at your institution? The ALA Video Round Table Program Committee (VRT) welcomes program proposals for ALA Annual on just about anything related to video and libraries! The term video includes moving picture media in all of its forms – DVDs, streaming, video tapes, video art, YouTube videos, animation, iPhone shot footage, etc. Proposals are due SOON, August 31, 2016! Have you created video tutorials? Are you using film clips (or gifs) in instruction? Have you created a media center for your patrons? Do you work with students or faculty in video creation? Are you finding new ways to promote films to your community? Are you doing anything interesting in curating your film collection? Have you made library promotional videos? Are you involved with film or video preservation? Have you offered special film programming/events at your library? The Program Committee will review all proposals and notify participants of proposal acceptance by Sept. 21, 2016.